Smári Organics markets their skyr as Icelandic yoghurt, not skyr, although the product is actually skyr. Skyr is becoming very popular in the US. 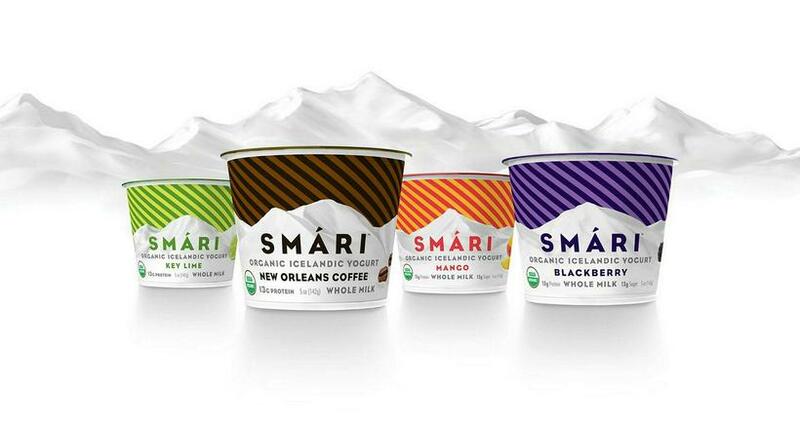 Icelander Smári Ásmundsson is the founder of Smári Organics which produces the only organic skyr on the US market. The company is based in California and sells skyr to over three thousand stores around the US. The product has obtained a variety of awards for quality. Ásmundsson grew up in Hafnarfjörður, a fishing town next to Reykjavik, and ate a lot of skyr, both in the morning and at lunchtime. He remembers the time that the family bought traditional skyr in plastic bags in Borgarnes, driving from Snæfellsnes to Hafnarfjörður, and his mother stirred the skyr herself, adding milk and sugar to make it more tasty. Last year Ásmundsson sold four million containers of skyr in twelve flavours all across the US. 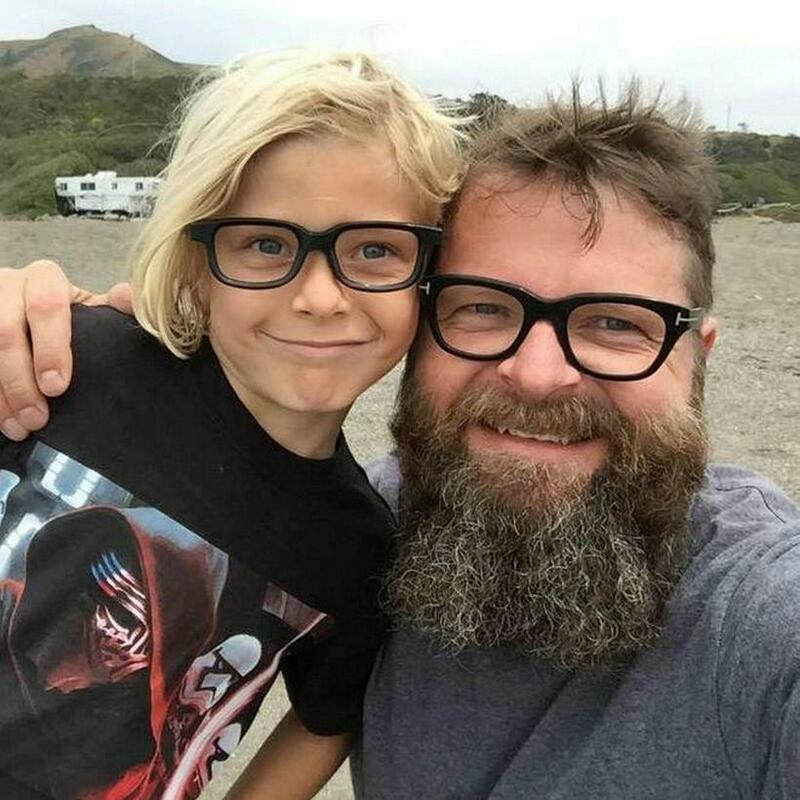 Smári Ásmundsson and his son Gabriel eat skyr on a daily basis. „I moved to California ages ago, as soon as I finished college in Reykjavik. I studied photography at the Brooks Institute of Photography in Santa Barbara. I started working in commercials and did really well, my photos appeared in Vogue and Rolling Stone to name a few. My cliients included Rolex and Volkswagen. But around the age of forty I wanted to make a change. I had just become a dad and I wanted to do something completely different with my life," he explains to mbl.is. "I had become more interested in food than in commercials and wanted to try doing something in that field. At the time, a Greek yogurt from the Chobani company was becoming a hit in the US but I thought that the Icelandic skyr was better, it had a higher percentage of protein and a nicer texture." „Skyr was the food that I missed most from Iceland. Even though I've lived half of my life in California I'm still very Icelandic at heart. So I'd been trying my hand at making skyr for my son and I and it got better and better." Helping him was an old friend of the family who lived in Egilsstaðir in East Iceland. "Skyr is a simple food but making it properly is not simple. It took me ages. I had been making skyr for around ten years before I started selling it." But why do you call your skyr Organic Icelandic yoghurt and not skyr? "We call it that because it's a fairly new term and product in the US and people tend to take a long time before they try something new. By using this name there's a connection to Iceland but it's not completely foreign." Him and his son eat skyr daily, and their current favourite flavour is mango. "The coconut skyr is really popular, as well as vanilla and Key lime. Our latest ones are mango and blackberry." His vanilla skyr was certified by health magazine Eat This, Not That, Men's Health voted his product the best for building up muscle, and his skyr won the gold medal at the US Championship Cheese Contest 2017. There are two other skyr labels in the US, Siggi's skyr and skyr from Iceland Provisions which is connected to Icelandic company MS.
"Siggi's skyr hit the market 5 or 6 years before ours. The main difference is that mine is organic and his isn't. I think that's important. It's also important to people who look after their health. But Siggi and I are not really in any kind of competition, there's plenty of room for both of us." But why are Americans so fond of skyr? "Because it's better than the world's best yoghurt," says Ásmundsson and laughs.